The Dutch Open Grand Prix in Almere, Netherlands continues to be a happy hunting ground for Indian shuttler Ajay Jayaram. The two-time defending champion now seeks a hat-trick of titles at this tournament after returning to the final with a gritty 21-18, 13-21, 21-13 win over the fifth seed and World No. 48 Anders Antonsen of Denmark. The 20th ranked Jayaram’s opponent in the final has not yet been decided. He will face the winner of the semi-final between the second seed Tzu Wei Wang and fourth seed Emil Holst. However, luck ran out for the other Indian contestants on Saturday. 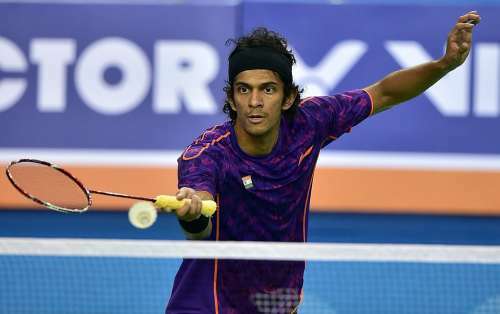 The fourth-seeded mixed doubles pair of N Sikki Reddy and Pranaav Jerry Chopra was stopped 19-21, 16-21 by the unseeded Danish duo of Soren Gravholt and Maiken Fruergaard in the semi-finals in 37 minutes. With this loss, an 11-match winning streak comes to an end for the Brazil Grand Prix and the Russian Open Grand Prix winners Chopra and Reddy. Between the top-seeded Jayaram and his 19-year-old opponent Anders Antonsen, there is a huge gulf in experience. But the World No. 48 never looked intimidated and put up quite an impressive fight. The Dane is the reigning junior European champion and has also won three titles in the senior circuit this year and his performance showed why. Endowed with an aggressive game, he made a fast start to this semi-final contest as Jayaram struggled to counter his pace. He raced ahead to 8-4 following which the Indian started making him move all over the court. Ajay's defense and persistence paid off and he snatched the lead at 14-13 before grabbing the opening game, 21-18. The second game saw the two players being engaged in hard-fought exchanges in the initial part after which the Dane leaped to 19-12 from 12-12 by bagging seven points in a row. He took the second game 21-13 to level the match. In the third game, Jayaram broke away from 5-5 to lead 7-5. The youngster tried his best to stay in touch but the defending champion looked too strong and too determined in the end. He led 11-6 at the mid-game interval and came up with some fabulous smash winners to clinch the win in 59 minutes.